This guide replaces two previous publications, Health and safety in motor vehicle repair (HSG67) and Health and safety in tyre and exhaust-fitting premises (HSG62), both published in the early 1990s. It reflects changes in the industry since then, including air conditioning; air bags; hybrid vehicles; 'compliant' paints and spray guns; and Small and Medium Area Repair Techniques (SMART). A group of industry experts have worked closely with HSE to make sure the advice represents good practice and helps operators stay within the law. It includes extensive guidance on safety in vehicle inspection pits; tyre repair, replacement and inflation; and safe spraying of isocyanate-containing paints. 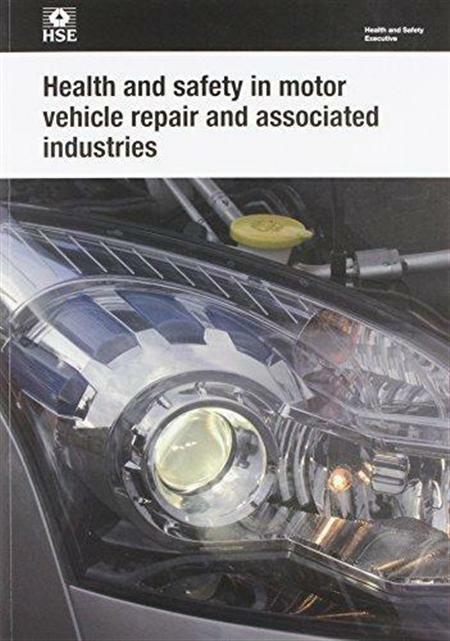 The book covers specific health and safety issues faced by employers and the self-employed in vehicle maintenance and repair (including tyre, exhaust, and windscreen replacement); body repair, refinishing and valeting; and the roadside recovery and repair of vehicles. It also covers topics that are common across the industry, such as working under vehicles; fire and explosion; noise and vibration; electrical safety; and organising health and safety.